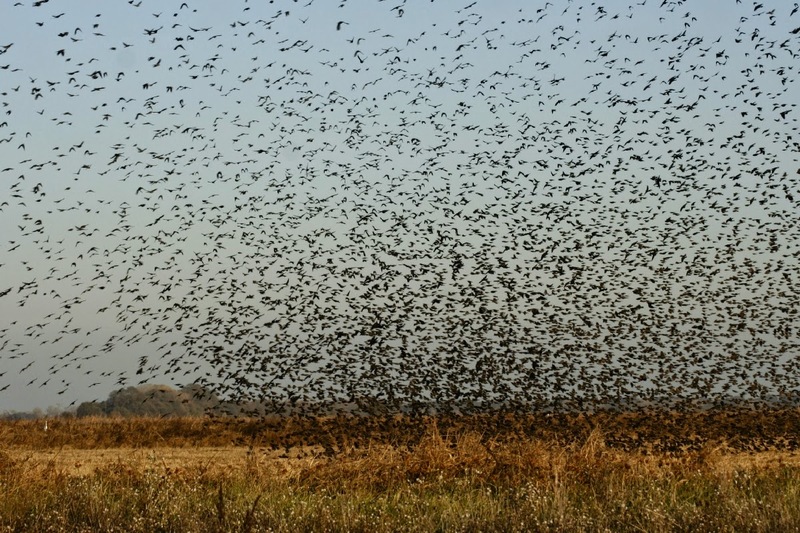 The Edtech Curmudgeon: LMS Futures: Extinction? This is the last entry on this topic (for now), and the hardest to write. My thinking has "evolved" rapidly on the potential for a post-LMS future. When I started planning the Blackboard World talk on which this series is based, I decided NOT to predict what was likely to happen, but rather to do three thought-experiments about three different future scenarios, and see what I would find. But now that I've gone through this, I find myself yearning for - and helping to build - a post-LMS future. This is not a result I anticipated. When I first put the dinosaur slide on the screen, someone at talk piped up and said I was telegraphing my conclusion. 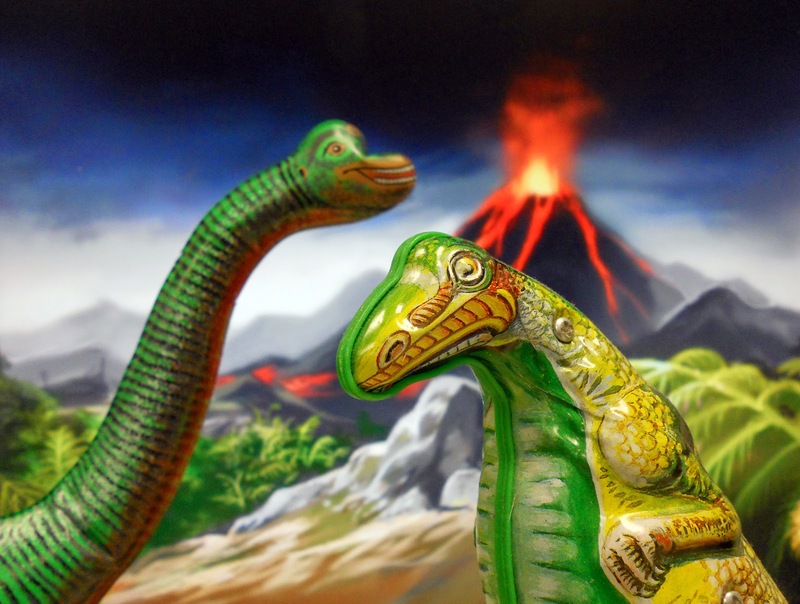 But the dinosaur is an ambiguous image - sure, they are extinct now, and they lasted a heck of a long time. And furthermore, we think that birds evolved from dinosaurs. So the dinosaur encapsulates all three futures. After all, LMS's WILL be extinct... it's just a question of how long they have to run. Perhaps they will outlive email, or COBOL. But it's not just a question of how long they will survive - somewhere, there's a school still running Lotus Notes. The question is how long they will dominate the mental model and the discourse around online teaching and learning in higher education. And now that I've worked through this in my own mind, I think we might be somewhat closer to a post-LMS world than I thought when I started. For a moment, let's go back to my slide representing a student-centric LMS. 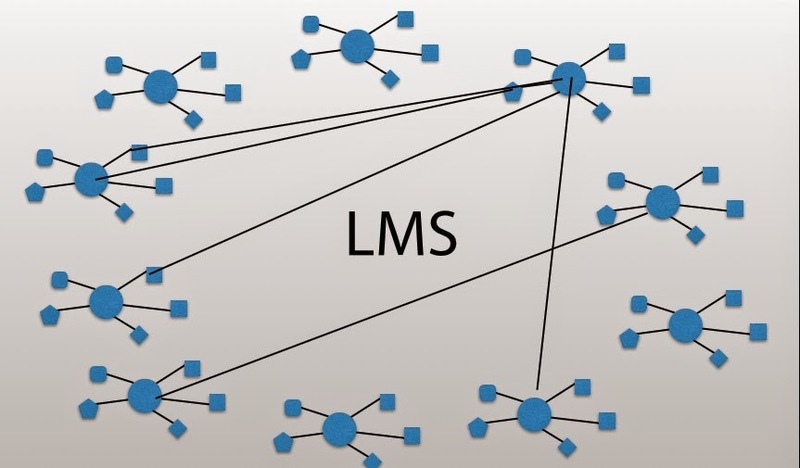 If you look at the picture for a minute, and take out the word LMS, you'll see that what you've got looks a whole lot like the Internet. I'm sure you can think of many other helpful tools you'd like to have, but the point is that building every feature you want into a single system is an obsolete strategy for software. Yes, LTI helps, but it still starts from the premise that you have a core system and you want to plug tools into that system. 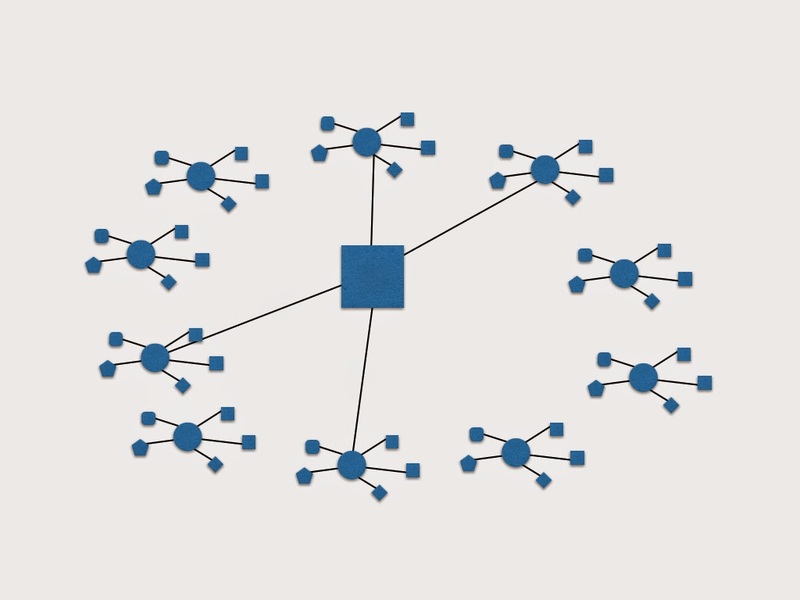 What if everything was a person or a tool or a resource, and you could connect and disconnect them as needed? You'd have a very powerful learning environment that was not an LMS. The question is, can you do it? The key observation that people such as Jim Groom and Brian Lamb and many others have made is that having your own virtual machine with Wordpress and a few other tools gets you a long way there. In other words, we may have been closer than we thought when we started down the LMS road, but we were seduced by the promise of the glowing system in the sky that could solve all our problems for us. The Reclaim Your Domain project launched by Kin Lane (@kinlane), Jim Groom (@jimgroom) and Audrey Watters (@audreywatters) suggests a strategy of moving forward into the past and giving students and teachers the tools to build their own connections that they can own and control. So perhaps by backing up a bit and moving in a different direction, we can begin to build a more flexible learning environment, one that is no longer closed in space and closed in time, and that can give the student a framework that can carry forward beyond the walls of academe. I don't know if it can work, but I think it's a journey worth taking to see what we can learn. We've embarked upon an experiment on my campus to explore the "reclaim" world with a few intrepid faculty and students, and in the future I'll be letting you know more about how we're doing. To everyone who read and commented on these blog entries, THANK YOU! To everyone who came before me and put out the ideas that I synthesized/adopted/stole/reclaimed/repurposed/remixed - THANK YOU even more. It's been a fun ride and now I might even write a blog entry or two that doesn't mention LMS.